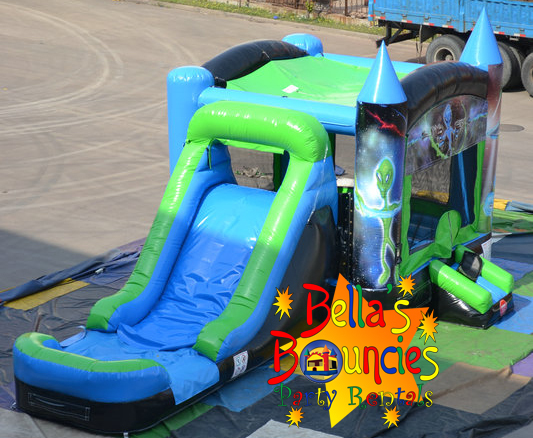 Your party or event won't signal the end of the world with Bella’s Bouncies Alien Bounce House Slide Combo. This Alien Bounce House and Slide features eye-catching graphics of alien's that are on an extraterrestrial space mission. 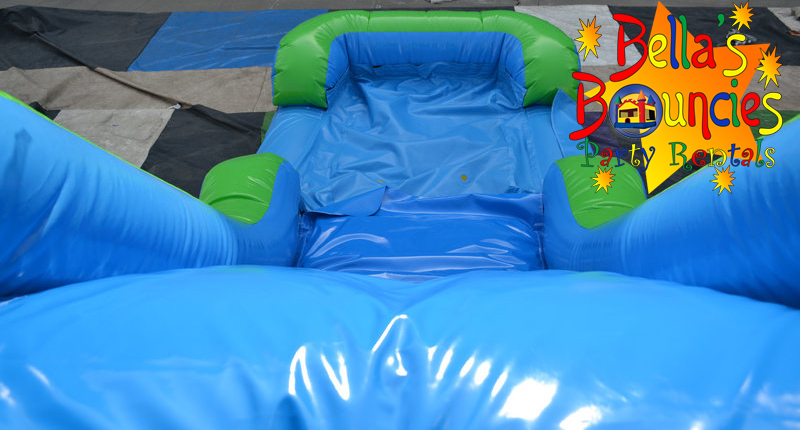 Partygoers can jump inside the bounce house and shoot baskets on the attached inflatable hoop. Then they can escape up the climbing wall and down the attached slide to make it back to base camp. 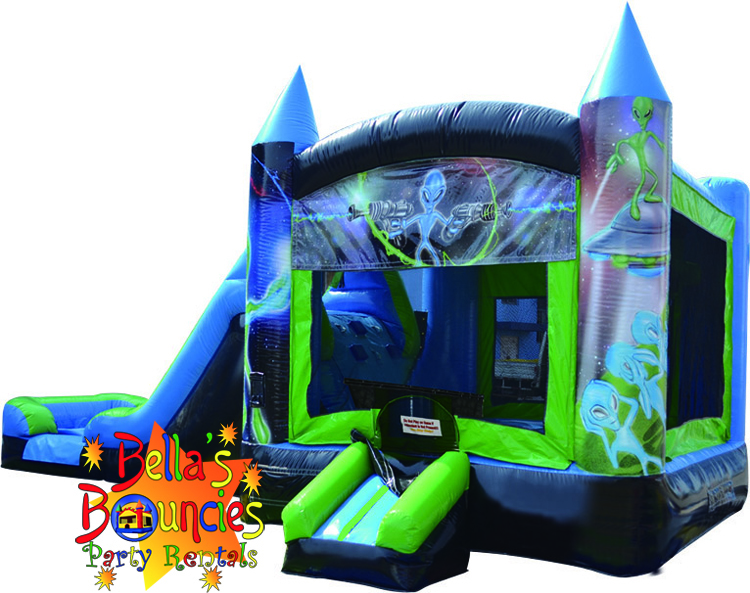 The Alien Combo Bounce House is perfect for alien-themed birthday parties, Halloween events and alien themed TV shows and movies. This inflatable requires 1 outlet on its own circuit. If delivering to a yard with a fence, you must have a 4' opening for this inflatable.